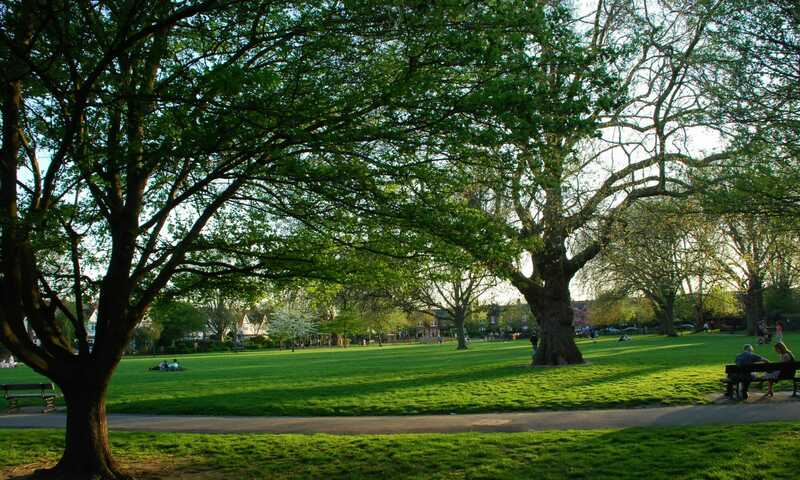 Wendell Park Gardening Friends is using the Spacehive crowd funding platform! We have teamed up with the Spacehive crowdfunding platform to raise funds to advance our project. Please help us to raise funds by pledging your support. The council has £200,000 of funds available for projects through the Community Infrastructure Levy and have indicated the they will back us if the project attracts enough support in the community. So please, dig deep! It’s very quick and easy to do, and it all helps. 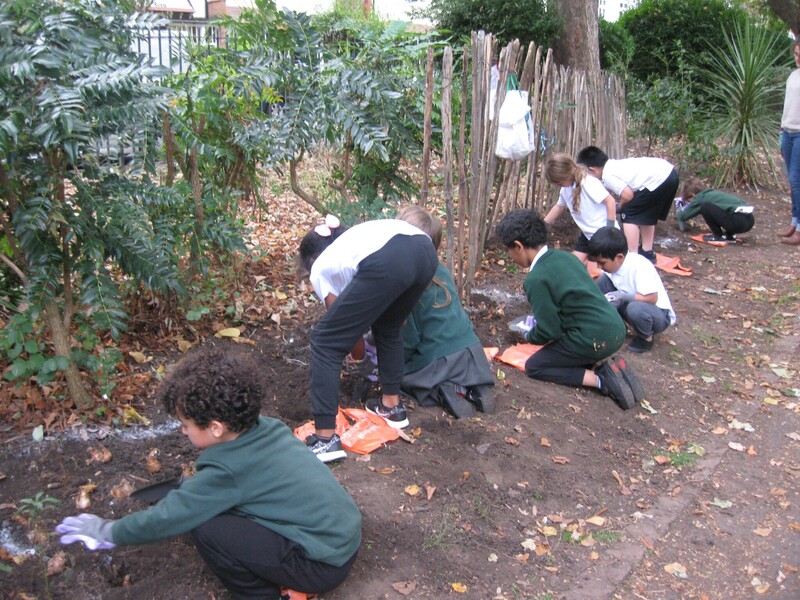 On Tuesday 10th October, Wendell Park School and WPGF planted a 5kg bag of yellow and white narcissi bulbs. 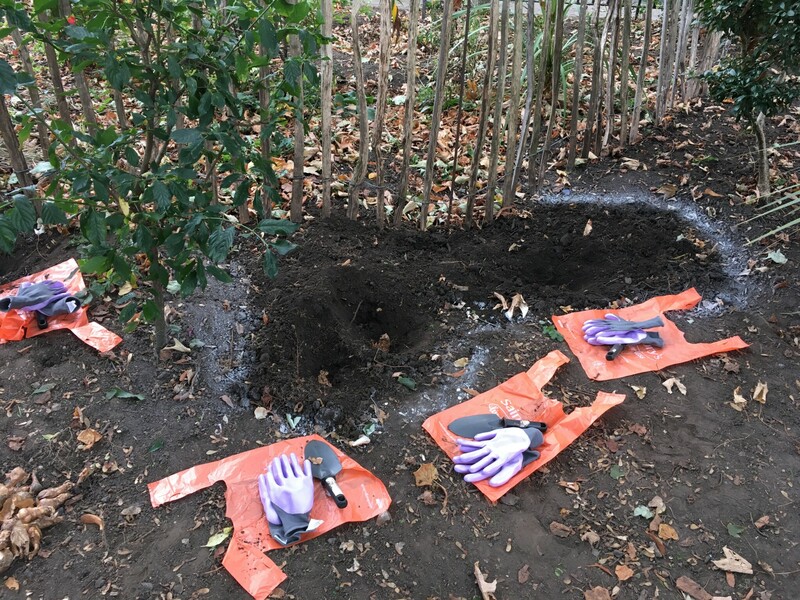 The ground was prepared by clearing the leaves, digging the earth over and marking the areas for the children. We used garden game paint to make four irregular shapes in order to make the planting look more natural. We located the planting close to the picket fence for increased protection. 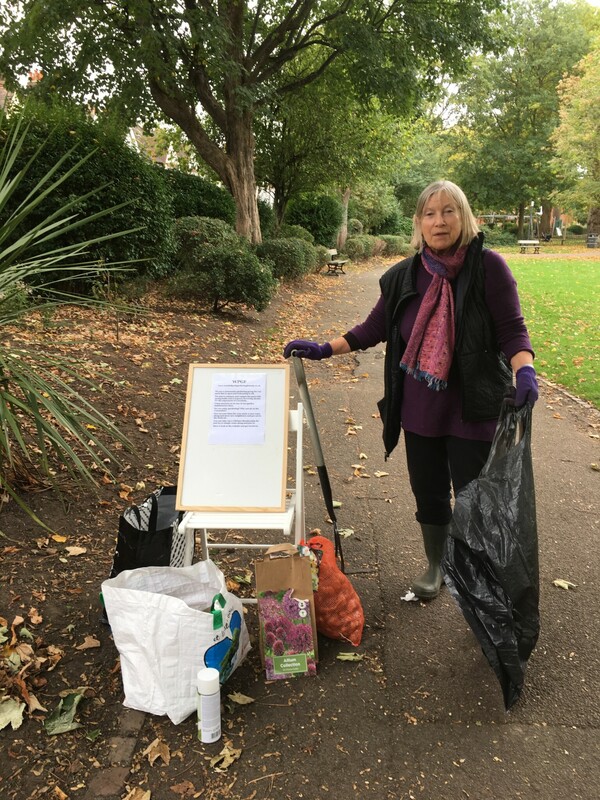 Ruth and Caroll arrived with the first of three groups of 8 children, very well prepared, each with a trowel, pair of gloves and bag for kneeling on. Ruth then explained which way to put the bulb in the earth by pointing out the little roots at the bottom of the bulbs and told the children to expect the flowers in spring time. 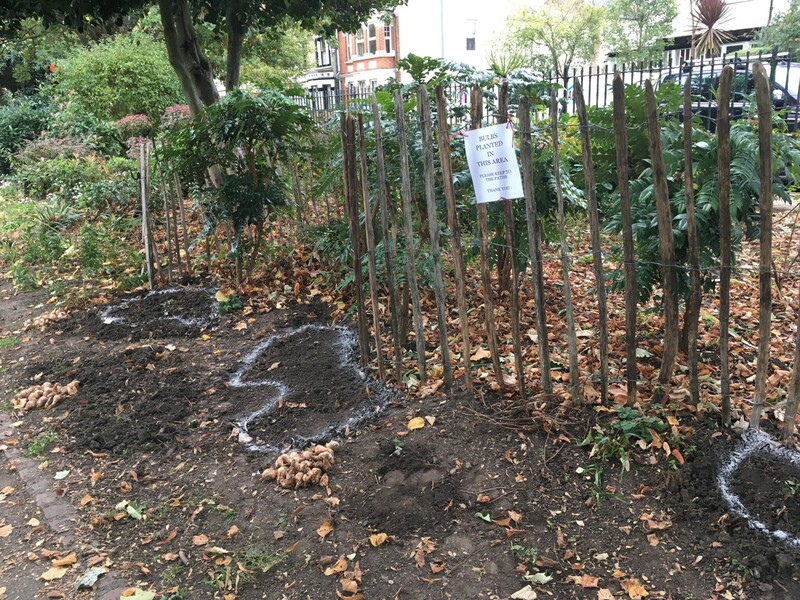 All in all, around 100 bulbs were planted. 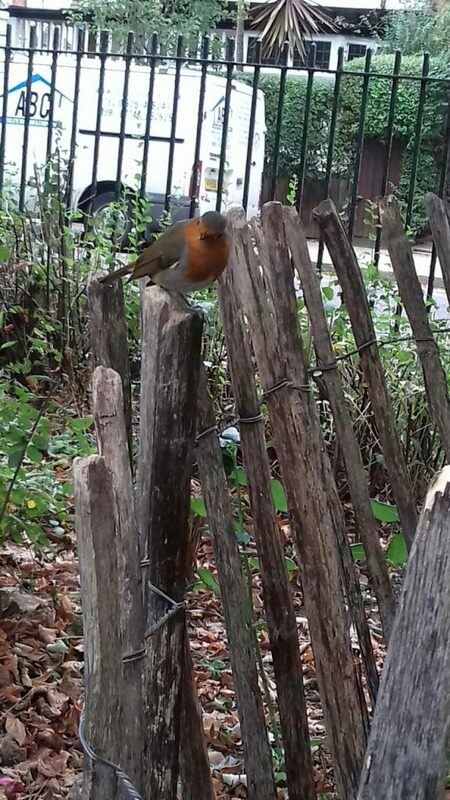 To mark the end of the event and to the children’s delight, a beautiful robin made an appearance, looking for worms in the freshly turned soil.